Discovering extensive flooding or water damage can be devastating. But there will be no need to worry as long as the experts from South Coast Restoration are contacted for water or flood damage restoration services. Whether the issue relates to sewage backup, creeping water damage, or a flooding situation, South Coast Restoration will accurately evaluate the underlying issue, provide repair service if necessary, remove the excess water, and then proceed to restore the property to the way it was before the water or flooding damage occurred. The South Coast Restoration crew repairing a sewer line leak. South Coast Restoration can be relied on for water removal and restoration services 24 hours a day and 7 days a week. If there is an emergency water damage or flooding issue, then simply contact us any time of day or night and an experienced South Coast Restoration technician will be at the property within one hour to effectively stop the flooding or leak issue, remove the water, and then begin the process of decontaminating the affected area. All of these services are performed by trained and experienced, licensed, bonded, and insured professionals utilizing the most advanced state-of-the-art equipment so as to ensure the highest quality, most efficient and most effective service possible. Studies show that mold or mildew problems are far less likely to develop if the water damage is treated in less than 48 hours. So when flooding or other water damage is discovered, it’s important to treat the situation like an emergency and immediately contact South Coast Restoration for professional service. You can reach South Coast Restoration 24 hours a day and 7 days a week by calling 800-992-4493. We proudly serve Orange County, North San Diego, and Inland Empire. Flooding or water damage of any kind in your Orange County property needs to be taken care of ASAP. By relying on professional water damage services from South Coast Restoration, Inc. you can have any water damage problems solved, the risk for mold or mildew eliminated, and your property restored professionally so that it appears a flood or water damage of any kind ever happened. 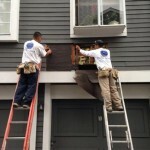 When you call on the experts from South Coast Restoration, Inc. you can expect nothing short of top-notch service. We respond to flooding or serious water damage situations quickly. In fact, we offer emergency restoration Orange County solutions and will respond within 1 hour of your emergency request any time of the day or night, 7 days a week. We can be counted on to solve the cause of a particular flooding issue, professionally remove the water, and work to restore your property in the most efficient and professional manner possible. Plus, since we are committed to delivering exceptional customer service, you can expect to be treated in an exceptional way from the moment you contact us for help. Whether you’re dealing with a serious sewer line leak or are unsure of why you’re experiencing water damage, we at South Coast Restoration, Inc. can be counted on to find the root cause of the problem, solve the problem, and restore your Orange County property to the way it was before the damage. Contact us today at 1-800-992-4493 if you need restoration assistance. You can also learn more about our water damage solutions and our other professional restoration services by browsing through our website. Read more about flood emergency preparation and resources in Orange County.